The City room is spacious and versatile. It has a private terrace with views of the city. 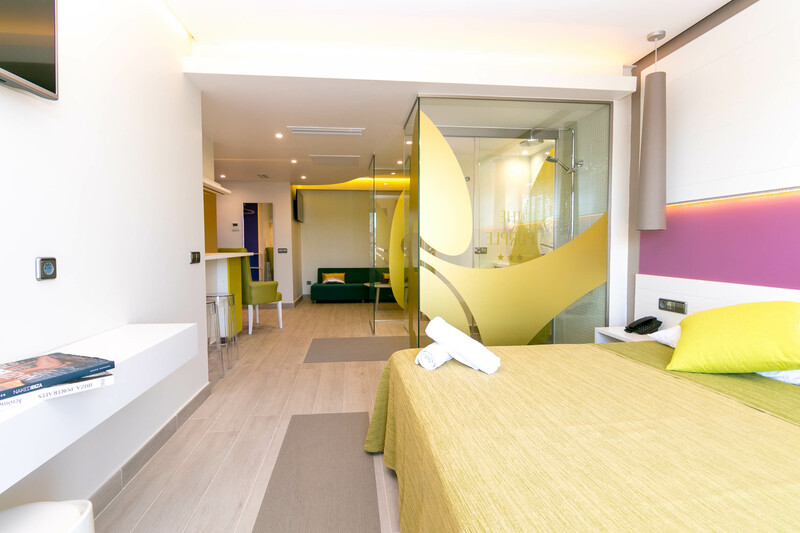 The best views from The Purple Hotel can be found in our Poolside View rooms. 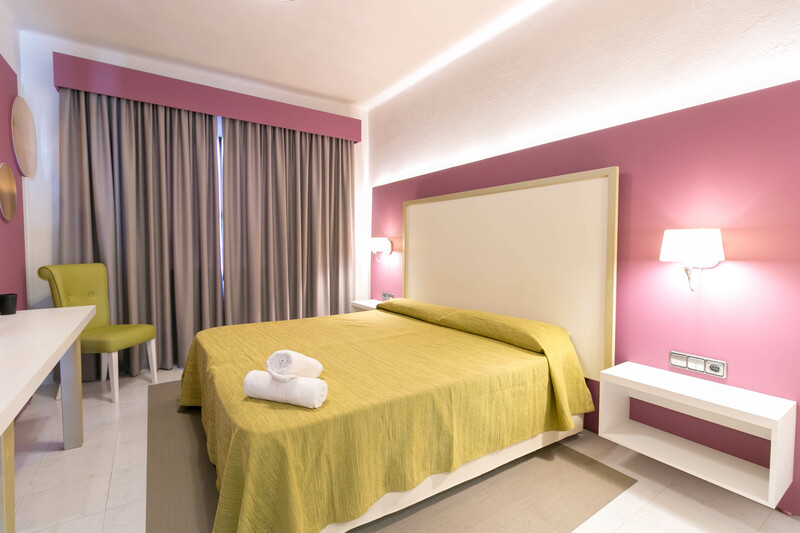 These 22 m² rooms are quite spacious and have a balcony with a view of the pool. 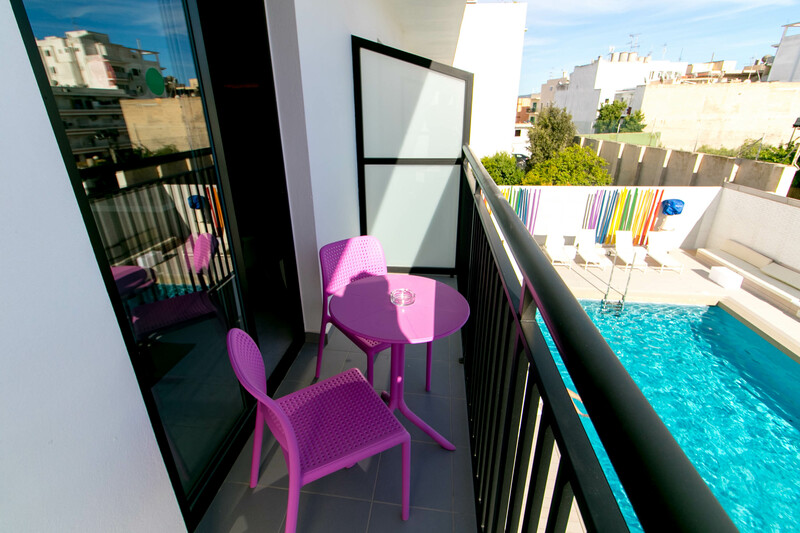 This room has a large space and a balcony with a pool view, where you will be the best viewer of our pool with the best gay atmosphere. 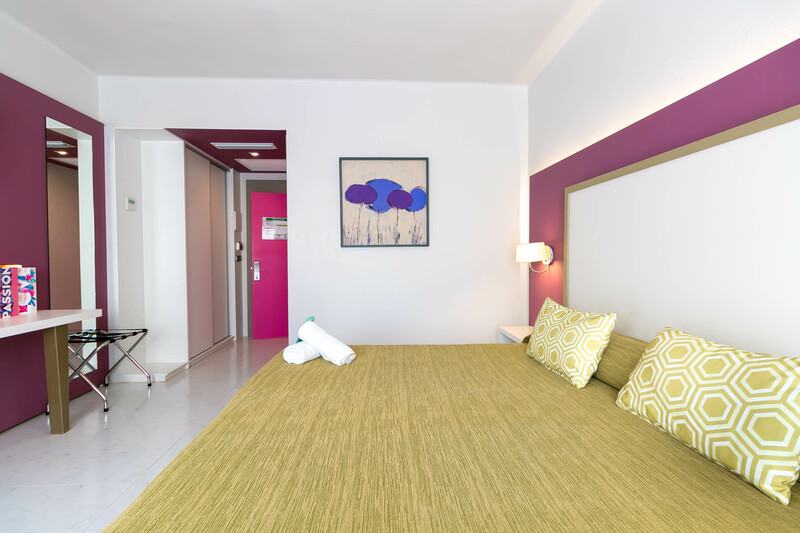 If you are looking for a place in The Purple Hotel where you may rest and enjoy to the edge of your limits then that would be our Premium room with a Queen Size bed. This room offers a modern and fresh design. Seduce or be seduced in the glass shower at the centre of the room, in which fantasies will be the biggest stars of your stay. 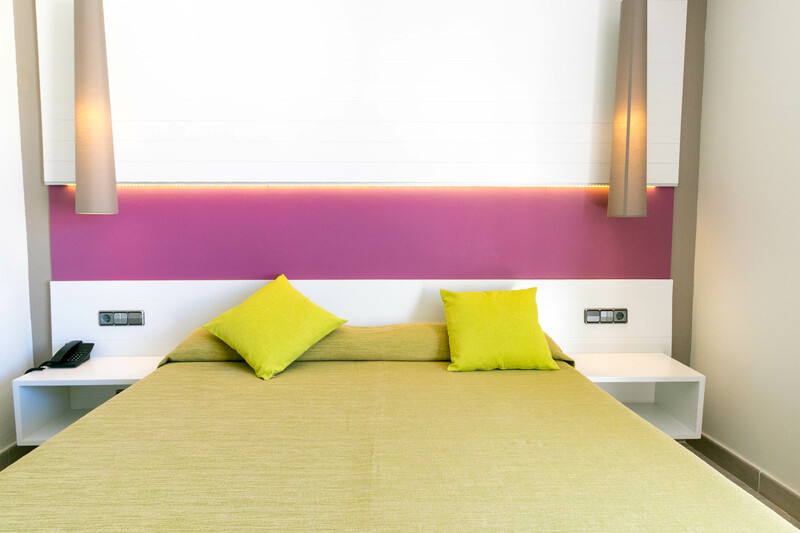 Embrace absolute splendour in our 40 m² Junior Suite, a sanctuary of creativity and comfort, set with the best style of The Purple Hotel. Submerge into luxury and aesthetic, as well as in the views of the pool ambience. Pamper yourself in the glass shower and enjoy the exclusive bath amenities for the Junior Suite.